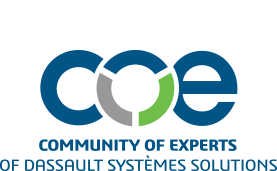 COE members gain invaluable hands-on training with 3DEXPERIENCE through the COE Discovery Panel. The panel provides an opportunity to fully engage the software – to better understand its functionality and service – without spending the time and resources to setup your own environment and obtain licenses. Hear the latest from the group by reading their blog here. The Discovery Panel is currently in the recruitment phase. Click Here to apply for an open position! For the next Discovery Panel, we are planning a 4-week project to investigate the Function Driven Generative Designer (GDE) capability. We will have weekly “working session” conference calls where we walk through the process, discuss the steps, options, etc. and have general Q&A. Using the 6 high-level steps below, we will cover 1-2 of these each week. The weekly calls will include a “demonstration” of the capability as well as some hands-on opportunity to work with the solution on alternate models.